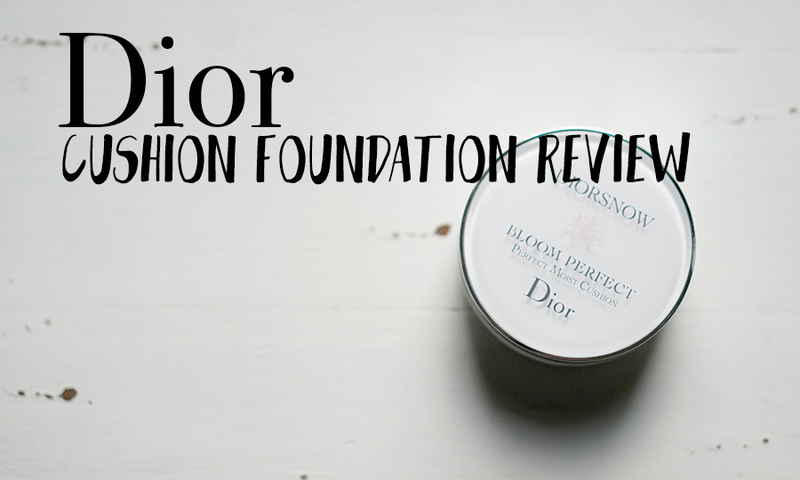 Today's foundation is one that I'm sure a lot of people have been very excited about since its announcement - the Diorsnow Bloom Perfect Perfect Moist Cushion Foundation. 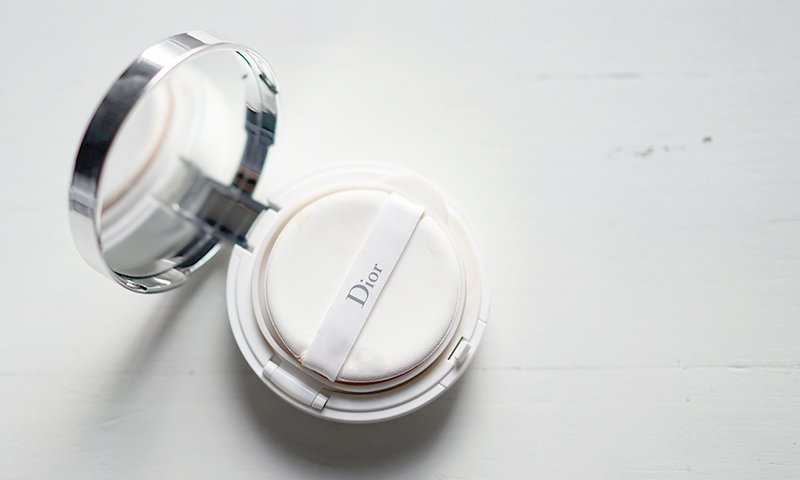 This is Dior's first venture into cushion foundations, using Korean technology to develop a beautiful product with Dior's Diorsnow formulation. The foundation comes in your typical cushion foundation packaging, with the branding printed on slightly raised clear resin so the print casts shadows in the light. It comes with one cushion and one applicator sponge. Here's the kicker - this foundation comes with a refill! This is rare for luxury cushions, and more likely than not, a first in the Western luxury cushion foundation market. Talk about getting more bang for your buck! In terms of performance, I was a little sad at first to discover that I wasn't very impressed by this cushion foundation. HOWEVER, fast forward weeks after my first few trials, I came back to this foundation one night after rediscovering it in one of my makeup boxes. I had had enough of this other cushion foundation I was trialling (this one had little to no coverage, not something my skin would appreciate at this point in time - Auntie Flo has started showing acneic signs of her impending arrival) and thought I would just slap it on since I was in a rush to head out and needed something to cover my pimples at least a little bit. A few pats later, I was staring into the mirror at lovely, even-toned, glowing, healthy-looking skin. You know how there are just some foundations that have that little extra oomph to them, that can give your skin this lovely, healthy glow, colour-correct it so it looks extra healthy and perky, and just cover all those pesky uneven spots in your skin? That was exactly what this foundation did for me that night. 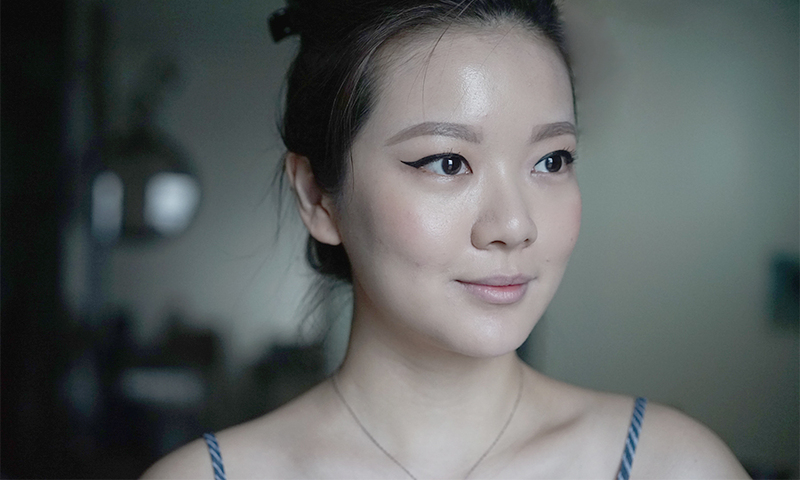 Excited, I applied the same foundation the following morning in bright daylight, and it did exactly as expected - pretty, glowy skin! Another plus? I hadn't used it in weeks, and it showed no signs of drying up or pooling in particular areas of the cushion - there was still a moist well of foundation left, and it was still really easy to pick up with my applicator and apply. 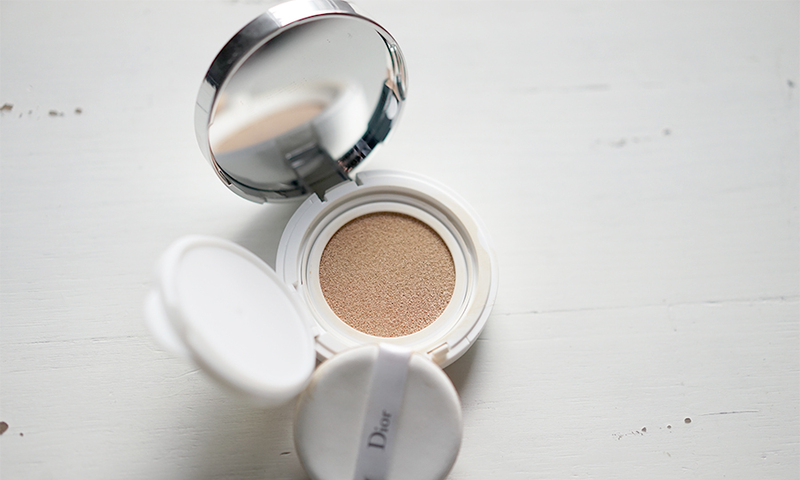 With Diorsnow Bloom Perfect Perfect Moist Cushion, applied in 2-3 layers, light translucent powder on the T-zone. The coverage is light to medium, but it is buildable, so layer on extra foundation where you feel you need a bit more coverage. For acne, you will need an extra concealer. Because this foundation is so light, I found that I could use it underneath my eyes without issue, plus most cushion foundations are made this way anyway, so you have a complete base solution to take with you on the go. One thing I must mention is that this product is very dewy, hence the glowing finish. If you have an oily skin like I do, make sure you have a mattifying powder to apply to your oily areas. If you have very oily skin all over, then I would suggest a mattifying foundation instead, as this foundation does not hold up well against sweat or oil. Overall, a fantastic addition to the Diorsnow range. At the moment, I believe it's only available in Asian markets and retails for RM268 per pack (compact, cushion, applicator, and refill). Shades are limited, with only 3 available at the moment.